Hello everyone! In these months I´ve been very bussy at work. But this week I was able to develop a new escape game. I´m happy to read your comments. Hope you like this game. I´ll try to develop a new game as soon as posible. The house is surrounded by a great number of zombies. You must get some food and weapons to escape. 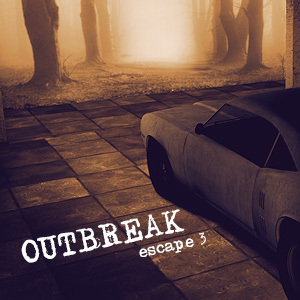 This entry was posted in Escape Games, Games, Our games, Zombie games and tagged adventure games, casual games, escape games, free online games, games, logic games, point and click games, puzzle games. Bookmark the permalink. A very good game!! Thank you – that was worth waiting for!! Looks like an interesting game but it won’t load. All I get is a black screen, and when I click on the “not loading” message, it gives me the exact same thing. I love these games. Too bad I can’t play this one. Great game i have missed you !! Miss you and your game. Thank you for the joy you bring to everybody. So creative and beautiful. Always hard to wait for your next game. Thank you again. It’s been a long wait but understood. I selfishly hope you get more time over the next few months to do the next puzzle.